The International Criminal Court (ICC) commenced investigation of the armed conflict in Uganda in 2004. In 2005 it issued arrest warrants for five leaders of the Lord’s Resistance Army (LRA). This article examines how the court’s involvement in the situation has impacted on conflict transformation in Uganda after ten years of judicial work. It also addresses the problem of assessing the impact of law on conflict through the use of an analytical framework that is based on four variables: deterrence, victims’ rights, reconciliation, and accountability to the law. Relying on this framework, and on a report of a field research project in Uganda, it argues that the ICC’s intervention has had multiple impacts on the situation in Uganda, and that despite some arguments to the contrary, the ICC does promote conflict transformation through deterrence, promotion of accountability to the law and promotion of victims’ rights. The struggle to promote accountability at national levels by the international community through international justice mechanisms has a fairly long and tortuous history, stretching back to 1919 after the First World War (Schabas 2012:6) and taking root in 1945 during the Nuremberg and Tokyo trials. There is also a domestic dimension to the evolution of international accountability which, Sikkink (2012:250) argues, comes from the diffusion of accountability practices from country to country, within regions, from region to region and finally flowing into the international system of accountability. As a result of these developments and the focus of the international community on human security, a new normative order seems to be emerging. This order emphasises the protection of people from abuse during conflict and in peacetime, and accountability for abuses (Teitel 2011:10). These developments are concerned with protecting humanity both in human rights and criminal law contexts from abusive conduct on the part of states, officials, and criminal groups. Scholars such as Sikkink (2011:227) and Akhavan (2001:2) argue that prosecution in transitional societies could lead to improvements in human rights protection. Nevertheless, it is doubtful if the surge in accountability has indeed stirred more respect for the rule of law, or prevented conflicts. It is also debatable whether accountability has inspired peace (Drumbl 2007:10). Since the end of the Second World War, for instance, armed conflict continues to confront the world in different regions. The end of the Cold War gave rise to hopes of a new peace based on universal law and a new political order. But these hopes were dashed as conflict arose in Afghanistan, Kosovo, Iraq, Iran, Syria, and in different parts of Africa, coupled with the astounding rise in terrorism and religious fanaticism (Teitel 2011:10). The international community responded through direct interventions in several of these conflicts and through the deployment of international justice mechanisms in the former Yugoslavia, Rwanda, Sierra Leone, Lebanon, East Timor and Cambodia, and finally, through the establishment of the ICC. The hope was that reliance on law and adherence to laws prohibiting aggression and other crimes could ultimately promote peace and reduce conflicts (Schabas 2001:616). The ICC, an entirely new mechanism for conflict transformation, represents the new order which embodies the progress of the international community in combating impunity. 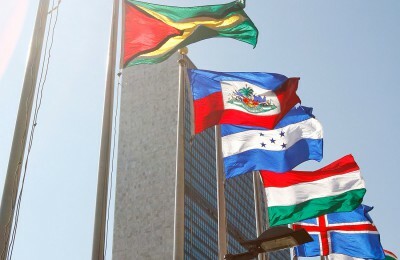 This new order frowns upon amnesty and requires that the terms of any peace agreement to be in accord with international law as enshrined in the Rome Statute. To illustrate the above, this article examines the conflict in northern Uganda between the Government of Uganda (GoU) and the LRA, the peace efforts made at managing it, and the intervention of the ICC in the conflict. The focus of the article is on the impact of the ICC’s intervention on conflict transformation in northern Uganda. The central issue examined is whether the ICC is facilitating conflict transformation or stalling/complicating it, or having little or no impact on it. 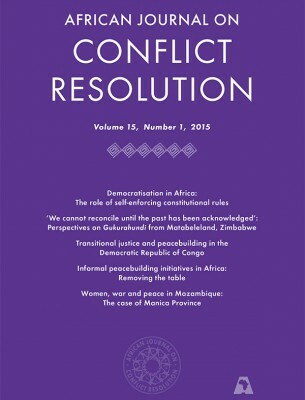 The article explores these issues from the perspectives of relevant literature on international justice and conflict transformation, and also from the findings of field research conducted in Uganda in 2013. Concerning the conflict transformation in Uganda, this article relies on an analytical framework that integrates findings according to four variables: deterrence, promotion of victims’ rights, promotion of reconciliation, and promotion of accountability to the law. Once identified, many scholars use these terms to discuss and make sense of the impact that international justice has had on conflict and post-conflict situations (Akhavan 2001:1; Nouwen 2012:186). The article will examine this question in terms of how the ICC promotes accountability to the law, how it promotes victims’ redress, how it contributes to deterrence, and how it supports reconciliation processes. Darehshori and Evenson (2010:22) state that the ICC intervention in post-conflict situations supports conflict transformation. They argue that the existence of arrest warrants for leaders suspected of international crimes does not necessarily undermine the peace process. Also, Nouwen (2012:186) submits that the ICC, by operationalising international law and by deterring crimes is inevitably contributing to peace building in Africa. Lanz (2007:27) also opines that the peace and justice controversy in northern Uganda should be understood as a manifestation of the tensions between different actors with different agendas and priorities, and that the ICC despite its limitations, promotes the peace process in Uganda. This article looks beyond the immediate issues of how to end the conflict in northern Uganda, and how to build peace after the conflict. It also focuses on the long term strategies of transforming conflict in northern Uganda. It examines whether the ICC intervention contributes to conflict transformation by providing long-term strategies for addressing some of the root causes of the violent conflict, such as massive violations of human rights and systemic impunity embedded in the legal system of Uganda. The article therefore argues that the ICC will be contributing positively to conflict transformation in Uganda if it promotes reconciliation, accountability to the law, rights of victims of atrocities, and deters future atrocities or gross human rights violations. It argues that the degree of impact will depend on the nature, degree and scope of impact on all or some of the variables. A qualitative methodology was used for the research. Data for the research was collated from in-depth interviews, and from answers to questionnaires which were administered to respondents in Uganda. The researcher visited Uganda from 10 November 2013 to 3 December 2013 and interviewed some of the respondents. Also, from January 2014 to February 2015, the researcher administered questionnaires to respondents in Uganda. A total of twenty persons were given in-depth interview, while two questionnaires were administered to two respondents. The respondents were lawyers, staff of some NGOs who work on transitional justice, one law teacher, human rights activists, researchers, one government official, one religious leader, youth leaders and other experts involved with international justice and conflict transformation in Uganda. Data for this study was mainly drawn from interviews, although most case studies involve the use of multiple methodologies. Such methodologies were not used because of the financial limitation on this study. Also, the results of the study were not compared with results from other sources. Still, the in-depth interviews used have been a rich source of qualitative research data. The conflict in northern Uganda erupted after the National Resistance Army/Movement (NRA/M) took over the government of Uganda in January 1986 (Human Rights Watch 2005:8), and the subsequent NRA/M’s attacks on Acholis occurred after the regime change (Otunnu 2002:11; Royo 2008:6). Economic and political divisions and disparities between the north and south, partly created by the colonial government and exacerbated by the post-independence governments, are frequently cited as some of the main causes of the conflict (Happold 2007:4; Mallinder 2009:6; Royo 2008:6). After the overthrow of General Tito Lutwa Okello in January 1986 by the NRA/M, embattled government soldiers from the deposed regime fled to the north, and to neighbouring countries (Royo 2008:8). In subsequent months, these soldiers who were mainly from northern Uganda, re-grouped under different armed organisations (the most significant among them was the Uganda People Democratic Army [UPDA]) to fight the NRA and to protect the interests of the north (Human Rights Watch 2005:8). The crisis in the north also led to the emergence of political and military leaders who claimed to be spirit mediums.1 One such leader was Alice Auma Lakwena, who established the Holy Spirit Movement (HSM) and led armed campaigns against the NRA (Mallinder 2009:7). These northern resistance groups soon disappeared: the HSM was crushed at Jinja as its soldiers marched toward Kampala in late 1986, while the UPDA signed a peace agreement in 1988 with the GoU (O’Kadameri 2002:35). The demise of the two groups created a vacuum which was filled by the former members of these groups, who later formed two other new groups: The Lord’s Army (Also called Holy Spirit Movement II), led by Alice Aluma Lakwena’s father, Savarino Lukoya, and the LRA, led by Joseph Kony (O’Kadameri 2002:34). 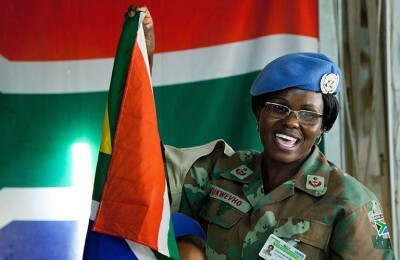 The Lord’s Army quickly disintegrated because the leader could not provide the charisma reminiscent of the Alice Lakwena era. The LRA led by charismatic Joseph Kony combined spiritual elements and military powers to become the de facto resistance movement. 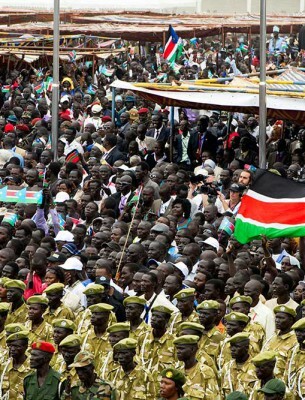 The LRA enjoyed the support of the Sudanese government, but this stopped after the signing of the Nairobi Peace Agreement in 20052 (Human Rights Watch 2005:9). Between 1989 and 1991 the group killed hundreds of people, abducted thousands from villages in northern Uganda, and also tortured and mutilated civilians by cutting off their hands, ears or lips (Nyeko and Okello 2002:18; UN High Commissioner for Human Rights and Uganda Human Rights Commission 2011:xiii). Over 66 000 persons were said to have been abducted in Acholi land between 1998 and 2005, with 20% of male abductees and 5% of female abductees believed to have been killed (UN High Commissioner for Human Rights and Uganda Human Rights Commission 2011:xiii). In 2002, the Ugandan Army (also called the Uganda Peoples Defence Forces [UPDF]), with the Sudanese government’s consent launched ‘Operation Iron Fist I’, and in 2004 ‘Operation Iron Fist II’ against the LRA inside Sudan. In response, the LRA fled to northern Uganda where it expanded its operations to areas previously untouched by the war, such as Lira and Teso sub-regions in eastern Uganda, and territories in the DRC (Lanz 2007:6). The LRA also began larger scale abductions, killings, looting, and general attacks on civilians, thus causing an upsurge in the number of people leaving their homes and exacerbating the humanitarian situation. The government responded by ordering people in abandoned villages to move to government camps. According to a Human Rights Watch account (2005:10), there were more than 500 000 internally displaced persons in early 2002. By late 2002, as a result of LRA’s return to northern Uganda, and under the UPDF order, the number increased to about 800 000. The LRA has since 2005 been driven out of northern Uganda. Its operations have also decreased and are now limited to the Democratic Republic of Congo and Central African Republic. Uganda signed the Rome Statute in 1998 and later ratified it in June 2002. The conflict in northern Uganda was subsequently referred to the ICC in December 2003, by the GoU. In July 2004, the chief prosecutor decided that there was a reasonable basis to open an investigation into the ‘situation concerning northern Uganda’. The chief prosecutor later filed an application for warrants of arrest for five leaders of the LRA. No member of the UPDF was indicted because, according to the chief prosecutor, the crimes committed by the LRA were of higher gravity than those allegedly committed by the Ugandan Army (Lanz 2007:7). In July 2005, Pre-Trial Chamber 11 of the ICC granted the chief prosecutor’s application, and issued warrants of arrest for five LRA leaders, namely: Joseph Kony, Vincent Otti, Okot Odhiambo, Raska Lukwiya, and Dominic Ongwen. The warrants of arrest were unsealed in October 2005. The cases against Raska Lukwiya and Okot Odhiambo were terminated after their deaths were confirmed. In 2014 Dominic Ongwen surrendered, and is currently in the custody of the ICC, charged with three counts of crimes against humanity and four counts of war crimes. Joseph Kony and Vincent Otti are still at large. The intervention of the ICC in Uganda was received with mixed reaction (Tenove 2013:3). While the intervention was welcomed by most international human rights and justice non-governmental organisations (Allen 2006:96), it received a hostile reception from many local groups in the north, such as Acholi leaders, local non-governmental organisations, the Amnesty Commission of Uganda, and religious groups under the auspices of Acholi Religious Leaders’ Peace Initiatives (ARLPI). The main concerns about the ICC intervention were that: the timing of the arrest warrant was ill-conceived; the chief prosecutor did not make public the results of his investigations into the crimes committed by the UPDF (Human Rights Watch 2012:5); the court was biased (Mallinder 2009:39), and the ICC will exacerbate the conflict or complicate the peace process. The current amnesty was introduced to Uganda in January 2000 as part of the government’s efforts to implement its policy of reconciliation and establish peace and security in the country. The programme was introduced after years of violent conflict and disastrous attempts by the government to end these conflicts through the use of force (Hovil and Lomo 2005:3). Thus, the Amnesty Act was enacted in 2000 to provide amnesty to Ugandans involved in armed conflicts in various parts of the country. The central objective is to entice people to abandon insurgency without fear of prosecution, with the aim of ending the conflicts in various parts of Uganda (International Centre for Transitional Justice and Human Rights Centre, University of California 2005:46). Since the enactment of the Act, over 26 000 persons have benefited from the Amnesty Programme (Interview with an Officer of the Amnesty Commission of Uganda, 21 November 2013). But only 5 000 have been resettled (Daily Monitor Newspaper, 16 May 2013). Out of this number, only 55% were from the LRA (Mallinder 2009:31). Amnesty helped the peace process in Uganda. First, in the amnesty programme, there is a perspective for peace and reconciliation, because of the nature of the conflict, since we were dealing with our children, amnesty was important. Second, there is no contradiction in the ICC interventions and the amnesty programme of the government (Interview with a Lecturer in Uganda, 14 November 2013). The amnesty programme in Uganda, despite its procedural, legal, financial and implementation challenges is good for conflict transformation since it has facilitated the return of over 26 000 persons, some of them from the LRA. The ICC’s involvement does not stop the rank-and-file LRA fighters from taking advantage of the amnesty programme, but, as alleged by the LRA leaders during the Juba Peace Talks, the ICC may be blocking the leaders of the LRA from taking advantage of the amnesty programme, and to that extent may be complicating the peaceful resolution of the conflict. 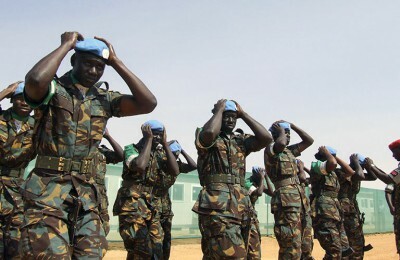 One of the main initiatives to end the conflict in northern Uganda was the Juba Peace Talks (JPT) held in Juba, South Sudan, between the GoU and the LRA from July 2006 to April 2008. The JPT was mediated by the then South Sudan Vice-President, Riek Machar (Wijeyaratne 2008:4). 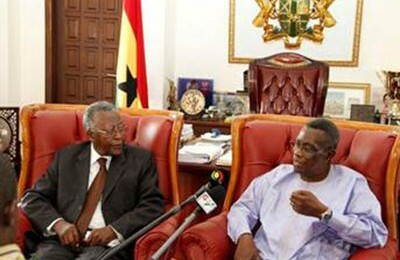 The negotiation produced six main documents or agreements signed by the GoU and the LRA. The Final Peace Agreement (FPA) signing ceremony was arranged for April 2008 in Ri-Kwangba, but Kony failed to arrive for the ceremony. The failure of the LRA to sign the FPA was a big disappointment to many (Wijeyaratne 2008:5). However, some of the agreements are already being implemented by the GoU. For instance, the establishment of the International Crimes Division of the High Court of Uganda in 2008 is as a result of the agreement on accountability and reconciliation. The JPT is also credited for promoting the peace process, improving security in northern Uganda and embedding international accountability standards into the negotiation agenda (International Crisis Group 2007:8). The ICC has been criticised for obstructing the Peace Talks by refusing to withdraw the arrest warrants for five LRA leaders and for being directly responsible for the refusal of the LRA to sign the FPA as Kony was said to fear being apprehended and taken to the Hague (Nouwen 2012:186; Tenove 2013:3). But the ICC was credited for propelling the Peace Talks as the threat of international prosecution helped to bring the LRA to the negotiation table. It was also credited with making accountability one of the core issues during the negotiation (International Crisis Group 2007:12). Thus, the ICC impacted both positively and negatively on the peace process, and also on conflict transformation in Uganda in similar ways. The preponderance of opinion from respondents is that the intervention of the ICC propelled the peace process by influencing the LRA to join the JPT. This view was canvassed by some of the respondents who opine that it is doubtful if the LRA would have joined the JPT if the ICC had not indicted its leaders. They argue that the LRA leadership calculated that they could neutralise the ICC intervention and the arrest warrants by seeking peace. One such respondent is a Legal Practitioner in Uganda who argued that ‘the ICC was a driver to the Juba Peace Talks and promoted the peace process in Uganda positively by indicting leaders of the LRA, which forced them to negotiate for peace’ (Interview with a Legal Practitioner in Uganda, 27 November 2013). The Director and the Project Coordinator of a peace and conflict organisation who were interviewed together in Uganda said as much when they stated that ‘the ICC was one of the key factors that influenced the LRA to the negotiating table, and the Juba Peace Talks were very useful as they led to discussions about the Ugandan conflict, and eventually to the withdrawal of the LRA from Northern Uganda’ (Interview with a Director and the Project Coordinator of a Peace NGO in Uganda, 21 November 2013). However, there is a minority view that the ICC intervention stalled the JPT and frustrated the peace process. One youth leader submitted that, ‘the ICC has negatively impacted on the peace process in Uganda. It was clear the ICC disrupted the Juba peace deal, because Kony was about to sign the peace agreement, but refused because of the intervention of the ICC’ (Interview with a youth leader and also the project coordinator of a NGO in Uganda, 25 November 2013). 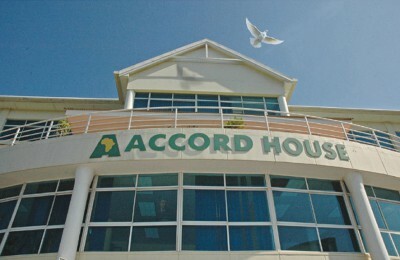 The intention of the ICC to establish accountability at national levels is clearly stated in the preamble to the Rome Statute where it is declared that ‘the most serious crimes of concern to the international community as a whole must not go unpunished and that their effective prosecution must be ensured by taking measures at the national level and by enhancing international cooperation’.7 Accountability to the law suffered during the years of conflict in Uganda. In the north, where the LRA held sway, there was almost a total collapse of justice administration institutions. In the south, the rule of law also suffered as neither the LRA nor government forces that committed grave human rights abuses against civilians during the years of conflict in the north were prosecuted (Human Rights Watch 2012:10). Since the end of the conflict in the north, the GoU has made both restoration of the rule of law and accountability to the law cardinal points of its administration. The GoU embarked on the process of re-opening administration of justice institutions in the north, building new courts, establishing the International War Crimes Division of the High Court of Uganda (Tadeo 2012:1), and publishing a comprehensive transitional justice policy. This section examines how the ICC intervention impacts on accountability to the law in Uganda by arguing that: (a) the ICC influenced the enactment of accountability-promoting laws, to the extent that, some legislation promoting accountability to the law were enacted/amended after the ICC became engaged, and (b) the ICC influenced the establishment of administration of justice promoting institutions, to the extent that some justice administration institutions were established/reformed after the ICC intervened. There are some connections between the involvement of the ICC in Uganda and/or the creation of more justice administration institutions, or the introduction of reforms in some existing justice administration institutions. It is not clear whether the ICC influenced the establishment of these institutions or the introduction of these reforms. However, it is clear that these developments took place after the ICC intervened in Uganda, and secondly, that these reforms and institutions attempt to mirror international standards or models. The GoU established the International Crimes Division of the High Court of Uganda in 2008 to try those who committed international and other crimes. The International Crimes Division is modelled after international tribunals, comprising a Bench of at least three Judges, a Registry, an Office of the Prosecutor, and that of the Defence Counsel. Another important development is the establishment of the Justice, Law and Order Sector which works on justice reforms, law and order. These developments were linked to the interventions of the ICC in Uganda by several respondents in Uganda. The point was clearly made by a respondent who opined that ‘the ICC has promoted the establishment of the International Crimes Court in Uganda and has entrenched the rule of law in the area of international crimes, because right now, we have a full court dealing with international crimes (Interview with a staff of an International organisation in Uganda, 25 November 2013). The whole discussion of establishing the Uganda international crimes court was because of the ICC. The whole debate about establishing the transitional justice system in Uganda was because of the ICC intervention. Also, the intervention of the ICC has helped in promoting access to justice in Uganda, as there are now more mechanisms for promoting the rule of law and accessing the courts in Uganda (Interview with a former head of the Ugandan Human Rights Commission, in Uganda, 18 November 2013). The ICC influenced the enactment of accountability promoting laws, to the extent that some accountability to the law promotion laws were enacted/amended after the ICC got involved. Some of these laws mimic international laws while some introduced reforms. This article does not argue that the ICC directly facilitated the enactment of these laws and regulations, but affirms that since these laws and regulations came into place after the ICC involvement, and some of the provisions mirror their international counterparts, there is likelihood that the ICC involvement may have influenced the decisions to enact these laws and regulations. For instance, the GoU enacted the International Criminal Court Act, 2010, signed the Accountability and Reconciliation Agreement with the LRA, and published a comprehensive Transitional Justice Policy. Also, The Prevention of Genocide Bill, 2015 is currently before the Ugandan Parliament. The bill seeks to, among other things, establish an Independent National Committee to spearhead the fight against genocide. Many respondents in Uganda argue that the involvement of the ICC in Uganda may have influenced the decision of the GoU to take these steps. One such respondent is a legal practitioner in Uganda who argued that there are many positive contributions of the ICC to the rule of law. ‘Some are: it lead to the enactment of the Ugandan ICC Act, it lead to the establishment of the War Crimes Court, within the High Court, and last government now has embark in the development of a transitional justice policy’ (Interview with a Legal Practitioner in Uganda, 27 November 2013). However, the enactment of these laws and the establishment of justice administration institutions have not led to the prosecution of more people for crimes committed during the armed conflict in northern Uganda. Presently, only Thomas Kwoyelo is being prosecuted in the International War Crime Division of the High Court of Uganda. The case is still pending because the Supreme Court of Uganda has only recently ruled that Thomas Kwoyelo’s trial before the International Crimes Division of the High Court of Uganda must resume (Uganda v Thomas Kwoyelo, Constitutional Appeal N0.01 of 2012). This is an appeal by GoU against the decision of the Constitution Court of Uganda which directed the International Crimes Division of the High Court to end the trial of Thomas Kwoyelo (International Centre for Transitional Justice 2015:4). Thus, the establishment of rule of law promotion institutions and the enactment of laws and regulations that mirror international standards does not automatically lead to the promotion of accountability to the law at national level. However, the incorporation of these international crimes into domestic laws could lead to greater pressure for judicial accountability for perpetrators of gross violations of human rights (Freeland 2010:7). In Uganda, the ICC has not approved reparations for victims of the armed conflict, since the court is just about to commence the trial of Dominic Ongwen, the first case from that country. However, the TFV has been active in northern Uganda and has established about eighteen projects, designed to assist victims of the conflict in northern Uganda. Presently, the TFV-funded partners in northern Uganda have provided services to an estimated 39 750 victims of crimes against humanity and war crimes (McCleary-Sills and Mukasa 2013:10). The ICC’s victims’ redress mandate provides exceptional opportunities for the ICC to contribute to peace (Nester 2006:9). Also, the TFV considers its assistance to victims a key step towards establishing durable peace and reconciliation in conflict settings, such as northern Uganda. Most of the respondents argue that the TFV’s projects will have long lasting impact on victims and on conflict transformation, as it promotes reconciliation and rehabilitation, and assists such victims in rebuilding their lives and their communities. 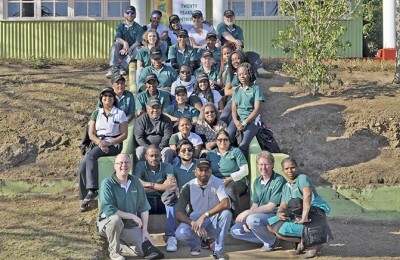 The TFV projects were also described as capable of promoting sustainable peace in these communities, because they will assist victims to return to a dignified and community life. They agreed that the TFV projects are very useful to individuals and communities that suffered from the brutality of the LRA and government forces, during the armed conflict in the north. For instance, the project coordinator of an NGO that works on victims rehabilitation stated that victims’ protection projects will assist people to resettle, and will promote peace and conflict transformation (Interview with the Project Coordinator of an NGO that works on victims’ redress in Uganda, 23 November 2013). Also, the head of a human rights NGO argued that the TFV projects will promote peace and reconciliation, and support the resettlement programmes of the GoU (Interview with the head of a Human Rights NGO in Uganda, 26 November 2013). Relying on these comments and arguments, it is contended that these TFV projects will not negate conflict transformation but will positively contribute to the peace process in Uganda. Defining reconciliation is complex because of its varying contexts, diverse understandings, and because it means different things to different people (Tolbert 2013:2). In its broadest sense, reconciliation could mean the establishment of strong patterns of social trust and cooperation across ethnic lines in post-conflict societies (Nalepa 2010:318). In Uganda, and in this article, reconciliation has been identified as the healing of wounds of conflict, mistrust, prejudice and marginalisation (Civil Society Consultative Conference 2007:ii). Interventions by an international criminal justice system in a post-conflict situation could facilitate the process of reconciliation (Fletcher and Weinstein 2002:598). The main argument of the proponents of the ICC is that the court creates conditions which are conducive for reconciliation, which is important for peacebuilding (Fisher 2010: 424). There is another view that there is insufficient evidence to conclude that international justice contributes to national reconciliation (Drumbl 2007:150; Tolbert 2013:4). The intervention of the ICC in Uganda is perceived by some respondents as contributing to reconciliation in the long-term in Uganda, by creating the necessary environment for reconciliation. In the words of Akhavan (1997:339), ‘the symbolic effects of prosecuting even a limited number of such leaders before an international jurisdiction would have considerable impact on national reconciliation as well as deterrence of such crimes in future’. Some respondents were of the opinion that the ICC, by tackling impunity and promoting accountability, is contributing to the process of establishing democratic principles, based on the rule of law, which could be useful in transforming some of their problems and facilitating reconciliation in the long term. For instance, a youth leader in Uganda argued that ‘the ICC intervention has some impacts on reconciliation, since it has helped the society to stabilise and to promote the peace process’ (Interview with a Project Coordinator of an NGO in Uganda, 25 November 2013). Another respondent stated that ‘the interventions of the ICC made Ugandans start thinking about reconciliation’ (Interview with an international justice expert with Advocates Sans Frontiers in Uganda, 26 November 2013). However, these views are contested by some who think that retributive justice in Uganda may not lead to reconciliation and that more emphasis should be placed on restorative justice mechanisms (Murithi and Ngari 2010:7) such as the traditional justice mechanisms and the amnesty programme of the government. The ICC in Uganda is also seen to be engaged in selective prosecutions which have polarised the country further along the north-south divide (Interview with a Lecturer in Law in Uganda, 14 November 2014). It is also blamed for contributing to prolonging the war as a result of the arrest warrants on leaders of the LRA. For example, Kony refused to sign the FPA unless the arrest warrants were withdrawn (Nouwen 2012:186). In summary, this article argues, that, on the weight of evidence, the involvement of the ICC does not contribute to reconciliation in the short term, but creates conditions which are conducive for eventual reconciliation in Uganda. Advocates of international criminal justice insist that the involvement of international courts in conflict and post-conflict situations contributes to deterring future atrocities because individual accountability is an important part of a preventive strategy, necessary for sustainable peace building (Akhavan 2001:10). Deterrence consists of general deterrence which is designed to prevent crime in the general population, or to prevent others from committing similar crimes to the accused, and specific deterrence, which is designed to deter the specific offender from committing the same crime or other crimes in future (Akhavan 2001:12). The main principles of the deterrence theory are: severity, certainty, and swiftness (Wright 2010:2). The main argument in support of the positive impact of the ICC on future gross human right abusers is that, because of the presence of the ICC and its permanent nature, the possibility of ICC intervention is one factor future human rights violators now take into consideration when making decisions. It may be argued that the ICC contributes to general deterrence in Uganda by threatening punishment, deterring crimes by increasing their costs. According to the cost-benefit argument of deterrence, the ICC increases the costs of committing crime by increasing the certainty and severity of prompt punishment (Akhavan 2001:1–9). Most respondents agree that the ICC has deterred military and political leaders from committing atrocities – since the ICC has the power to ‘touch the untouchables’ (Interview with the Director of a Youth Organisation in Uganda, 21 November 2013). A respondent argued that politicians and other top business leaders in Uganda are now afraid of the ICC, so they are likely to be more cautious about human right abuses (Interview with a former Head of the Ugandan Human Rights Commission, 21 November 2013). Another opinion is that the ICC has promoted respect for the law in Uganda, and people are conscious of the power of the ICC to prosecute (Interview with a Human Rights expert in Uganda, 29 November 2013). After viewing the totality of the actions of the ICC in Uganda, one international justice expert also opined that it does have the capability to deter, since it has the power to sanction (Interview with an international justice expert with Advocates Sans Frontiers in Uganda, 26 November 2013). In Uganda, the ICC is contributing to conflict prevention through deterrence without actually prosecuting most of the indicted leaders of the LRA. Its actions include, the Prosecution of Dominic Ongwen, the ICC’s numerous public comments on the situation in Uganda, its investigations in Uganda, and the issuing of arrest warrants for five leaders of the LRA. As a permanent international court, the ICC is also a constant reminder to all would-be violators of international norms in Uganda that their conduct can be punished. These conclusions are in line with the main argument proffered by deterrence theorists that an increase in the likelihood of imposition of sanctions will lead to a decrease in violations. Before the intervention of the ICC, a system of impunity for political leaders was evident in the country’s justice system as those who committed atrocities during previous and past armed conflicts in Uganda were not prosecuted. Since the ICC’s intervention, prosecution of those who commit international crimes became more likely. The cost of committing international crimes increased, and the benefits have remained relatively constant. The involvement of the ICC in Uganda brought international justice nearer to the country after many years of armed conflict, atrocities and impunity. Ten years down the line, this article argues, the ICC is facilitating conflict transformation, by promoting accountability to the law through enactment of laws that promote accountability. It has also encouraged the establishment of justice institutions. The ICC also promotes general deterrence by its investigation and prosecution, increasing the likelihood of sanctions. Also, it was argued that the ICC, through the TFV, has positively impacted on peace in some communities. On the other hand, the ICC in the short term does not seem to be contributing to reconciliation in Uganda, but may promote reconciliation in the long-run as the impact of accountability becomes established. The ICC had positive and negative impacts on the JPT. The ICC is criticised for obstructing the Peace Talks and for being partly responsible for the refusal of the LRA leaders to sign the FPA. However, the ICC is also hailed for propelling the Talks, because the threat of international prosecution by the ICC contributed to bringing the LRA to the negotiation table, and for making accountability one of the core issues during the negotiation. Put together, and on balance, this article concludes that the ICC involvement in Uganda facilitates conflict transformation. However, the ICC needs to work with the GoU to ensure that its involvement in Uganda does not block amnesty for the low-level LRA soldiers who may still want to return home. It is also important to intensify efforts to ensure that all those indicted by the ICC in Uganda are brought before it. Akhavan, Payam 1997. Justice and reconciliation in the great lakes region of Africa: The contribution of the international criminal tribunal for Rwanda. Duke Journal of Comparative and International Law, 7 (2), pp. 325–348. Akhavan, Payam 2001. Beyond impunity: can international criminal justice prevent future atrocities? The American Journal of International Law, 95 (7), pp.7–31. Allen, Tim 2006. Trial justice: The international criminal court and the lord’s resistance army. London, Zed Books. Beyond Juba: Building consensus on sustainable peace in Uganda 2015. Agreement on Accountability and Reconciliation signed between the GoU and the LRA during the JPT. Available from: <http://www.beyondjuba.org/BJP1/peace_agreements.php> [Accessed 4 September 2014]. 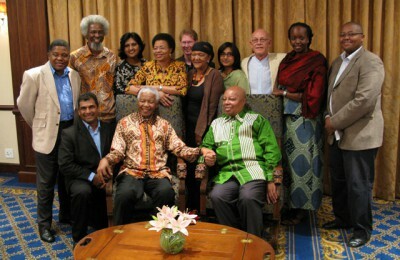 Civil Society Consultative Conference 2007. Report of the civil society consultative conference on paving the way for a sustainable reconciliation process in Uganda. Available from: <http://www.beyondjuba.org/BJP1/Conference_presentations/Reconciliation_Conference_Report.pdf> [Accessed 20 September 2014]. Darehshori, Sara and Elizabeth Evenson 2010. Peace, justice, and the international criminal court. Oxford Transitional Justice Research, Research Article 1. Available from: <http://www.csls.ox.ac.uk/documents/DarehshoriandEvenson2010.pdf> [Accessed 4 September 2014]. Drumbl, Mark 2007. Atrocity, punishment and international law. Cambridge, Cambridge University Press. Fisher, Martina 2010. Transitional justice and reconciliation: Theory and practice. Available from: <www.berghof-handbook.net/documents/publications/fisher_tj_and_rec_handbook> [Accessed 16 April 2014]. Fletcher, Laurel and Harvey Weinstein 2002. Violence and social repair: Rethinking the contributions of justice to reconciliation. Human Rights Quarterly, 24, pp. 573–639. Freeland, Steven 2010. Effectiveness of international criminal justice. Available from: <http://www.austlii.edu.au/au/journals/ALRS/2008/16.html> [Accessed 20 September 2015]. Happold, Mathew 2007. The international criminal court and the lord’s resistance army. Melbourne Journal of International Law, 8, pp.1–26. Hovil, Lucy and Zachary Lomo 2005. Whose justice? Perception of Uganda’s amnesty act 2000: The potential for conflict resolution and long term reconciliation. Available from: <http://www.refugeelawproject.org.htm> [Accessed 8 September 2014]. Human Rights Watch 2005. Uprooted and forgotten: Impunity and human rights abuses in northern Uganda. Available from: <http://www.humanrightswatch.org.htm> [Accessed 16 October 2014]. Human Rights Watch 2012. Justice for serious crimes before national courts: Uganda’s international crimes division. Available from: <http://www.hrw.org.htm> [Accessed 9 August 2014]. 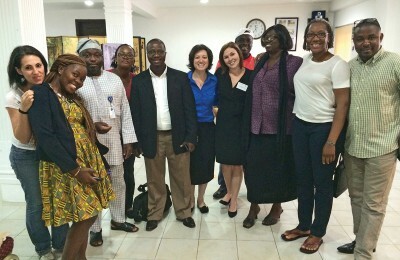 International Centre for Transitional Justice 2015. Pursuing accountability for serious crimes in Uganda’s courts. Available from: <https://www.ictj.org/sites/default/files/ICTJ-Briefing-Uganda-Kwoyelo-2015> [Accessed 13 August 2015]. International Centre for Transitional Justice and Human Rights Centre, University of California, Berkeley 2005. Forgotten voices: A population-based survey on attitudes about peace and justice in northern Uganda. Available from: <www.ictj.org> [Accessed 28 May 2014]. International Crisis Group 2007. Seizing the opportunity for peace. Africa Report No 124, 26 April 2007. 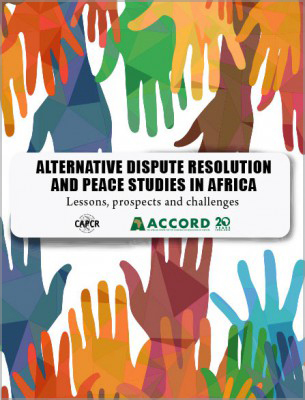 Available from: <http://www.crisisgroup.org/en/regions/africa/horn-of-africa/uganda/124-northern-uganda-seizing-the-opportunity-for-peace.aspx> [Accessed 9 August 2014]. Lanz, David 2007. The ICC’s intervention in northern Uganda: Beyond the simplicity of peace vs. justice. Available from: <http://www.reliefweb.int/sites/reliefweb.int/files/resources/EC66215A0071F156C12573910051D06D-Full_Report.pdf.htm> [Accessed 4 September 2014]. Mallinder, Louise 2009. Uganda at a crossroads: Narrowing the amnesty? Available from: <http://www.academia.edu/205946/Uganda_at_a_Crossroads_Narrowing_the_Amnesty.htm> [Accessed 7 September 2014]. McCleary-Sills, Jennifer and Stella Mukasa 2013. External evaluation of the trust fund for victims’ programmes in northern Uganda and the Democratic Republic of Congo: Towards a perspective for upcoming interventions. 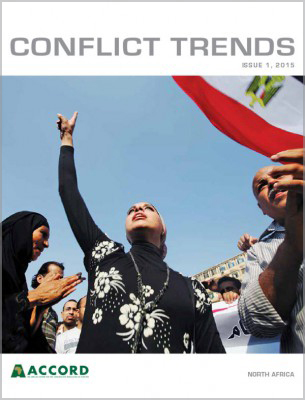 Available from: <http://www.icrw.org.htm> [Accessed 10 September 2014]. Murithi, Tim and Allan Ngari 2010. 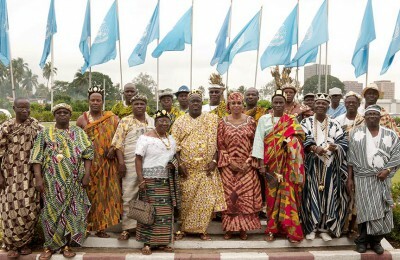 The ICC and community-level reconciliation: In-country perspectives regional consultation report. 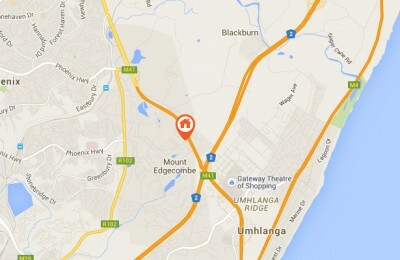 Available from: <www.ijr.org.za> [Accessed 20 August 2014]. Nalepa, Monika 2012. Reconciliation, refuge returns, and international criminal justice: The Case of Bosnia and Herzegovina. In: Williams, Melissa, and Rosemary Nagy eds. Transitional justice. New York, New York University Press. Nester, Adam 2006.Victim’s issues, multi-track diplomacy and the International Criminal Court. Available from: <http://www.http://imtd.imtdeast.org/papers/OP-17.pdf.htm> [Accessed 30 September 2014]. Nyeko, Balam and Lucima Okello 2002. Profile of the parties to the conflict. In: Okello 2002. Nouwen, Sarah 2012. The International Criminal Court: A peace-builder in Africa? In: Devon, Curtis and Dzinesa Gwinyagi eds. 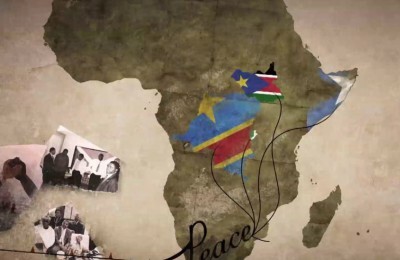 Peace-building, power, and politics in Africa. Ohio, Ohio University Press. pp 171–192. O’Kadameri, Billie 2002. LRA/government negotiations, 1993–94. In: Okello 2002. Okello, Lucima ed. 2002. 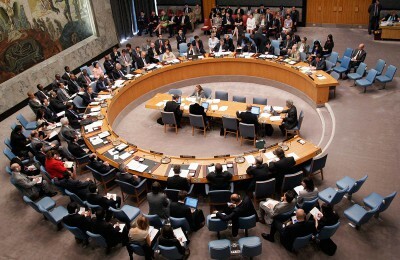 Protracted conflicts, elusive peace. Available from: <http://www.c-r.org> [Accessed 12 July 2014]. 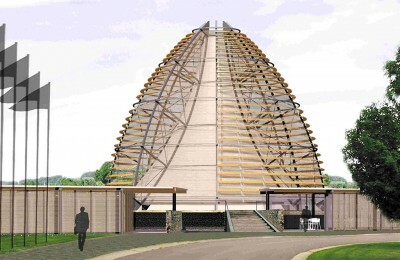 Otunnu, Ogenga 2002. Causes and consequences of the war in Acholi land. In Okello 2002. Refugee Law Project 2005. Update on the repatriation of Rwandese refugees in Uganda. March 2005. Available from: <http://www.refugeelawproject.org/current-issues.htm> [Accessed 30 September 2014]. Royo, Josep Maria 2008. War and peace scenarios in northern Uganda. Quaderns de Construccio de Pau, 6. Available from: <http://escolapau.uab.cat/img/qcp/war_peace_uganda.pdf> [Accessed 20 June 2015]. Schabas, William 2001. International law responses to conflict. In: Croaker, C, F. Hampson and P. Aall eds. Turbulent peace: The challenges of managing international conflict. Washington D.C., United States Institute of Peace. Schabas, William. 2007. An introduction to the international criminal court. Cambridge, University Press. Schabas, William 2012. Unimaginable atrocities: Justice, politics and rights at the war crimes tribunal. Oxford, Oxford University Press. Sikkink, Kathryn 2011. The justice cascade: How human rights prosecutions are changing world politics. New York, W.W. Norton and Company. States Parties to the Rome Statute 1998. Rome Statute of the International Criminal Court. Document A/CONF.183/9 of 17 July 1998. Available from: <https://www.icc-cpi.int/nr/rdonlyres/ea9aeff7-5752-4f84-be94-0a655eb30e16/0/rome_statute_english.pdf> [Accessed 30 September 2014]. Tadeo, Asiimwe 2012. Effecting complementarity: Challenges and opportunities: A case study of the international crimes division of Uganda. Available from: <http://www.asf.be> [Accessed 12 August 2014]. Teitel, Ruti 2011. Humanity’s law. Oxford, Oxford University Press. Tenove, Chris 2013. Uganda and the international criminal court: Debates and developments. Available from: <http://www.africaportal.org> [Accessed 17 July 2014]. Tolbert, David. 2013. Can international justice foster reconciliation? Available from: <www.aljazera.org> [Accessed 16 April 2013]. UN High Commissioner for Human Rights and Uganda Human Rights Commission 2011. The dust has not yet settled: Victims’ views on the right to remedy and reparation: A report from the greater north of Uganda. 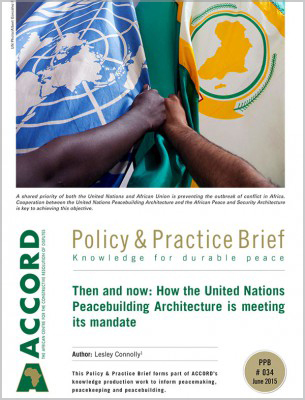 Available from: <http://www.Uganda.ohchr.org> [Accessed 12 July 2014]. Wijeyaratne, Surendrini 2008. Promoting an inclusive peace: A call to strengthen Canada’s peace-making capacity. Available from: <http://www.ccic.ca> [Accessed 24 May 2014]. Wright, Valerie 2010. Deterrence in criminal justice: Evaluating certainty vs. severity of punishment. The Sentencing Project. Available from: <www.sentencingproject.org> [Accessed 20 May 2013]. (1), pp. 131–161.. pp. 55–68. Spirit mediums were people in northern Uganda who claimed they were possessed by certain spirits, and thus were purportedly directed by the spirits. The Comprehensive Peace Agreement (CPA) was signed by the Government of Sudan and the Sudan People’s Liberation Movement to end the Second Sudanese civil war, and to develop a timetable for the independence of Southern Sudan. Agreement on Accountability and Reconciliation signed between the GoU and the LRA during the JPT. See Beyond Juba: Building consensus on sustainable peace in Uganda 2015. Mallinder (2009:1) states that only 55% of those that benefited from the programme are LRA members. 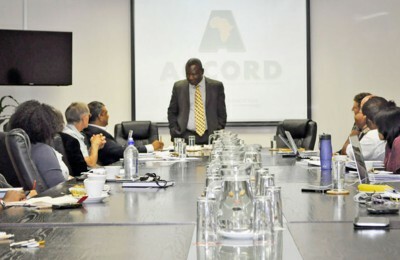 Interviews were conducted in Uganda between 11 November 2013 and 2 December 2013. The majority of those interviewed in Uganda in November 2013 and December 2013 shares this view. Paragraph 4 of the Preamble to the Rome Statute (States Parties to the Rome Statute 1998). Rules of Procedures and Evidence Document ICC-ASP/1/3, pp10–107, Rule 86.